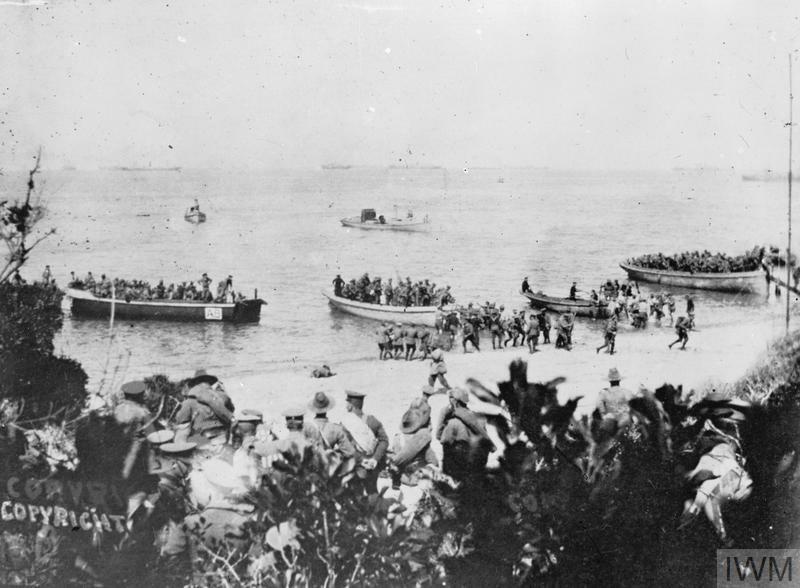 At dawn on 25 April 1915, Allied troops landed on the Gallipoli peninsula in Ottoman Turkey. The Gallipoli campaign was the land-based element of a strategy intended to allow Allied ships to pass through the Dardanelles, capture Constantinople (now Istanbul) and ultimately knock Ottoman Turkey out of the war. On 25 April 1915, the Anzacs landed around Ari Burnu on the western side of the Gallipoli peninsula with the loss of 5,000 casualties. The landing site became known as Anzac Cove. Allied success in the campaign could have weakened the Central Powers, allowed Britain and France to support Russia and helped to secure British strength in the Middle East. But success depended on Ottoman Turkish opposition quickly crumbling. General Sir Ian Hamilton decided to make two landings, placing the British 29th Division at Cape Helles and the Australian and New Zealand Army Corps (ANZAC) north of Gaba Tepe in an area later dubbed Anzac Cove. Both landings were quickly contained by determined Ottoman troops, and neither the British nor the Anzacs were able to advance. 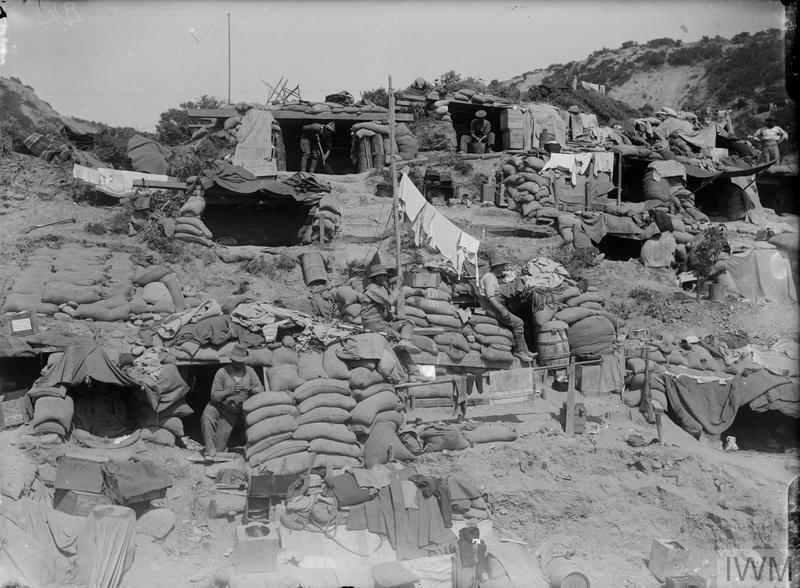 Trench warfare quickly took hold at Gallipoli, mirroring the fighting of the Western Front. At Anzac Cove it was particularly intensive. Casualties in both locations mounted heavily, and in the summer heat conditions rapidly deteriorated. Sickness was rampant, food quickly became inedible and there were vast swarms of black corpse flies. In August a new assault was launched north of Anzac Cove against the hills around Chunuk Bair. This attack, along with a fresh landing at Suvla Bay, quickly failed and stalemate returned. Finally, in December, it was decided to evacuate - first Anzac and Suvla, followed by Helles in January 1916. Gallipoli's landscape presented a difficult challenge for the Allied troops. 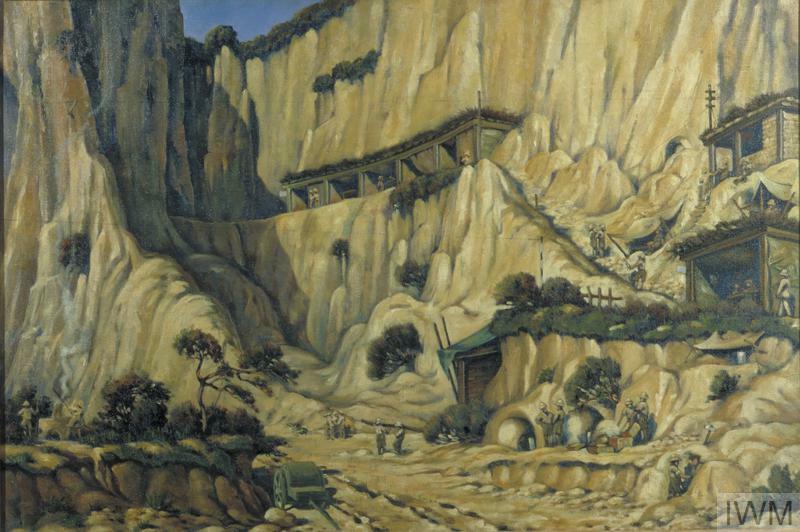 The Headquarters of the 29th Division, Gully Ravine, Cape Helles, Gallipoli, 1915, by Victor MacClure. Cape Helles, Gallipoli, 1915, by Victor MacClure. Gallipoli has become a defining moment in the history of both Australia and New Zealand, revealing characteristics that both countries have used to define their soldiers: endurance, determination, initiative and 'mateship'. For the Ottomans, it was a brief respite in the decline of their empire. But through the emergence of Mustafa Kemal (later known as Atatürk) as one of the campaign's leading figures, it also led to the foundation of modern Turkey. On 18 March 1915, a powerful naval force of British and French ships failed spectacularly in an attempt to force its way through the Dardanelles and threaten the Turkish capital, Constantinople (Istanbul). A decision was therefore taken to supress the Dardanelles defences by landing soldiers on the Gallipoli peninsula before making another attempt. The Gallipoli Campaign holds a special significance for Australia and New Zealand. These photographs show just some of the thousands of Australians and New Zealanders who served in the Gallipoli Campaign.